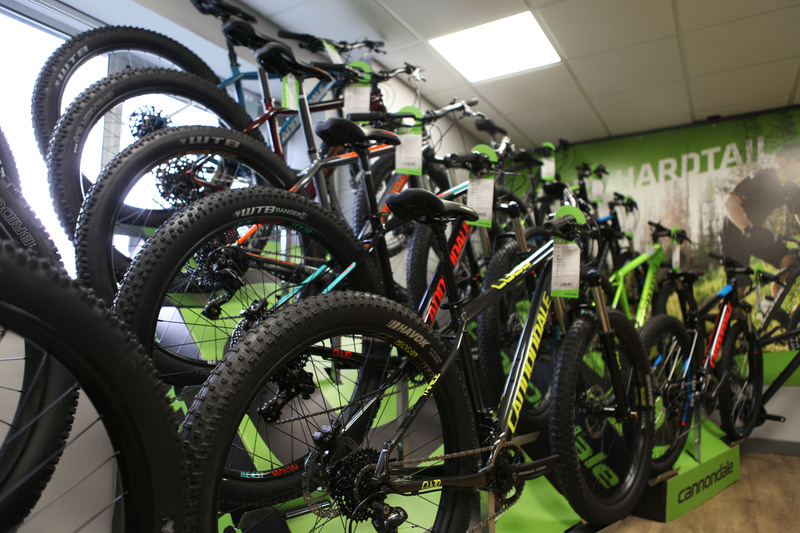 For those of you who don’t know, Cycling Sports Group (CSG) are a huge global supplier of bikes and accessories for a number of big brands, and a few smaller ones. 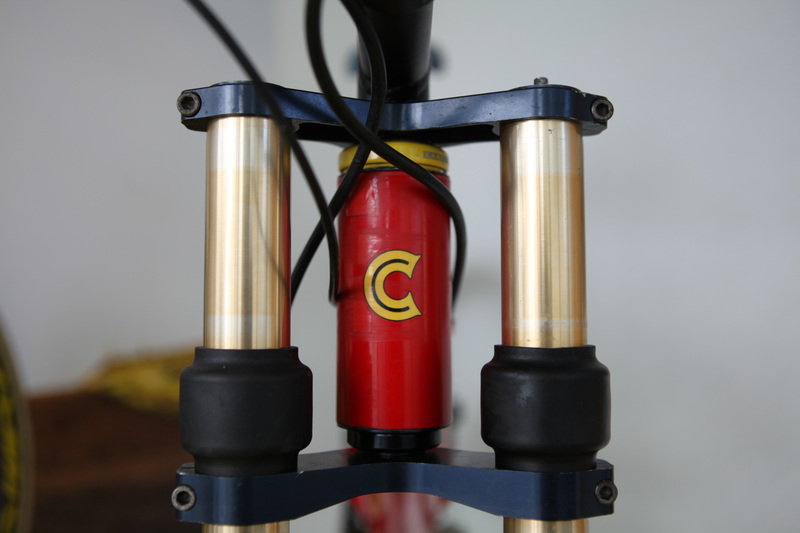 GT, Mongoose, Cannondale, Charge, Fabric, Sugoi and Sombrio all fall under their umbrella. CSG invited us to make the long trip south to Poole, Dorset to the CSG Connection – an opportunity for them to show off all their new wares to gathered media and retailers. Now, the south coast is a long way from Yorkshire, but there was mention of a barbecue and a bike ride so we fired up the ‘driving tunes’ playlist and hit the road. Pulling up to CSG HQ, with Bryan Adams [insert cool band here] blasting out of the stereo, the sun was shining (it’s true, it really is sunny all the time down there) and there were shiny bikes as far as the eye could see. Here’s a run down of some our highlights from Cannondale. Right, lets start at the top. Four years have ticked by since London 2012, and athletes from across the globe are jetting over to Brazil for the Rio 2016 Olympics. Thanks to Rule 40, Cannondale (and other ‘non-official partners’) must not use the ‘lympics to market their products. And to make matters worse, if they do, their athletes risk being thrown out of the competition. Bonkers, but we digress. 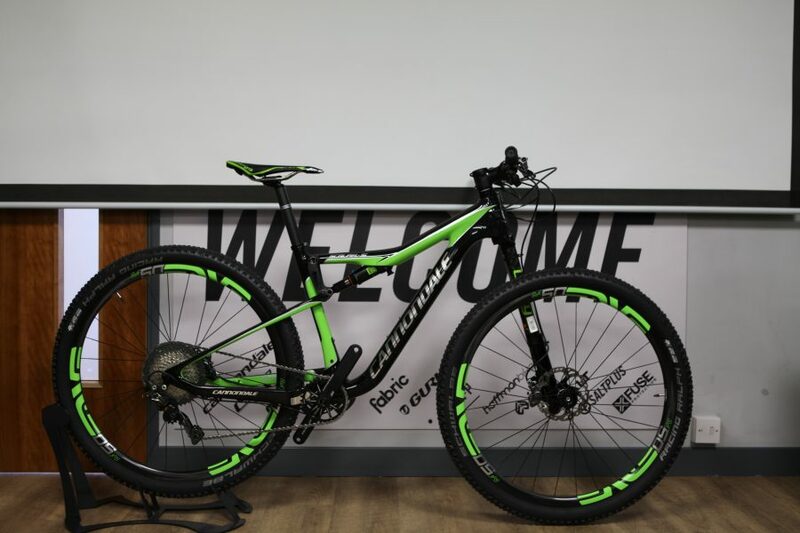 Cannondale might not be allowed to say it, but we are… their Cannondale Factory Racing riders will be on Scalpel-Si Hi-MOD Race bikes while representing their country. This is an eyewatering £6799.99. 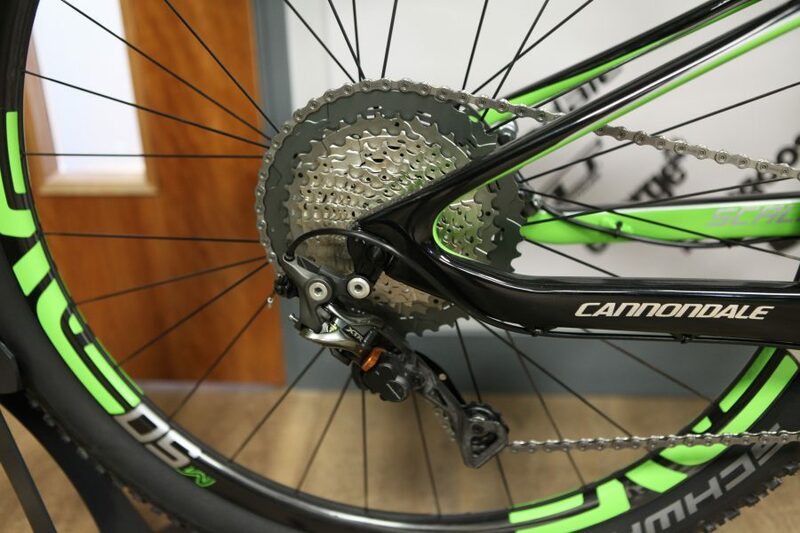 Cheaper options are obviously available, but if this isn’t bling enough for you, the Black Inc model adds XTR Di2 and ENVE finishing kit. You’ll even get a penny change from £9000. 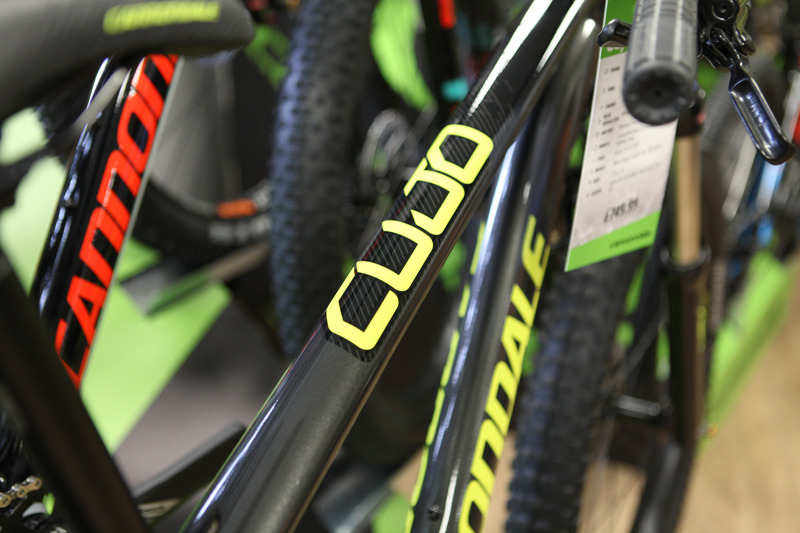 At the other end of the spectrum, Cannondale launched a brand you mid-specced hardtail – the Cujo. 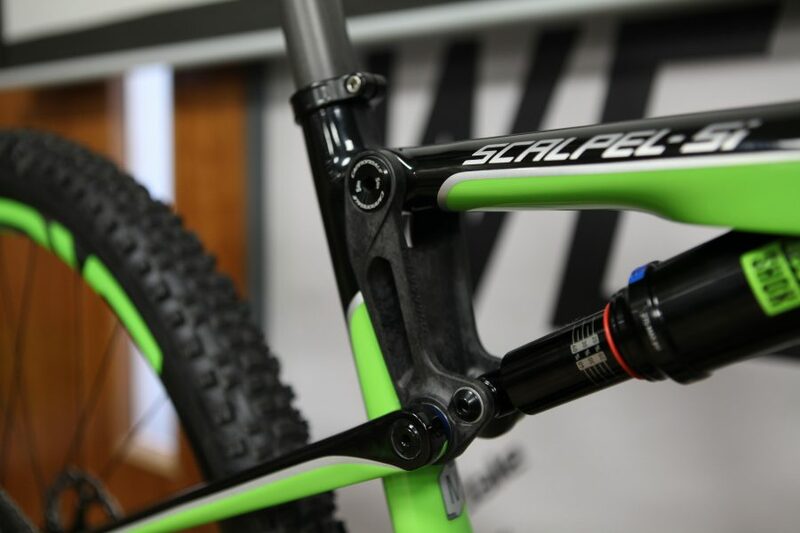 It’s a 27.5+ hardtail, designed to sit below the (also 27.5+) Beast of the East range. ‘Dale are by no means the first or only company to see the benefit of 27.5+ wheels – particularly on entry-mid range bikes, but they’ve dived right in for 2017. 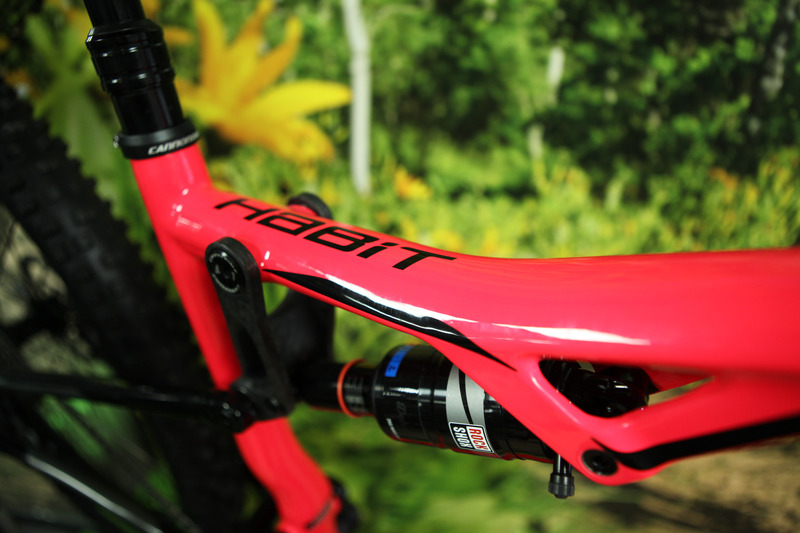 We love the look of the brand new Habit Women’s Carbon 2. Yeah, a pink women’s bike might illicit the odd eye roll, but it’s a deep, vibrant pink that to be honest Tom would love on the mens range. *We’ve just checked the catalogue. Its not pink, it’s Acid Strawberry*. More importantly, the spec is well sorted. 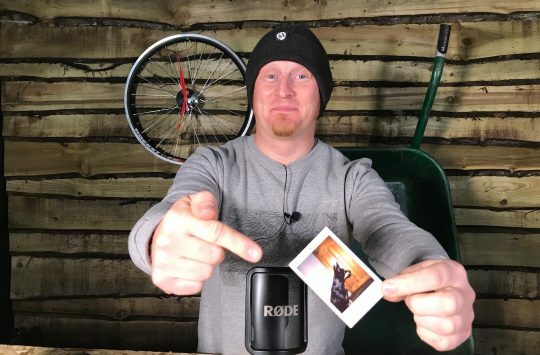 You’ll notice a RockShox Pike fork up front. This is married across to the mens mid-range as well, with just a couple of the highest specced models carrying a Lefty. This was based on customer feedback. Apparently a large number were fitting an aftermarket Pike anyway. 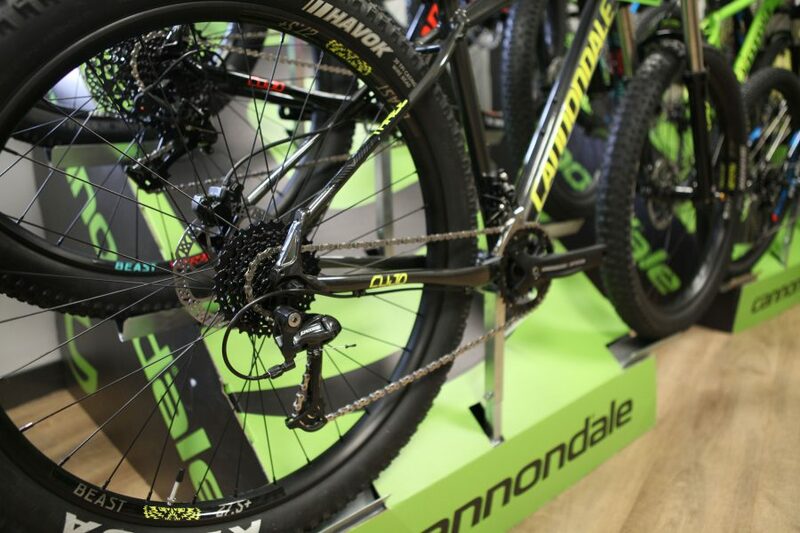 Cannondale just took the middleman out. Trail ready. Well… once you’ve removed it from the rack, and lost the hangtag. 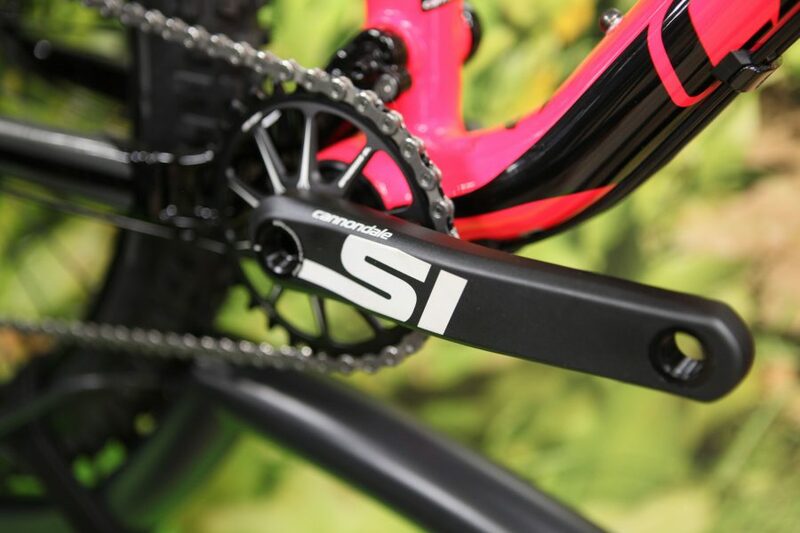 1x drivetrain, featuring Cannonade’s own Si cranks and SpideRing. 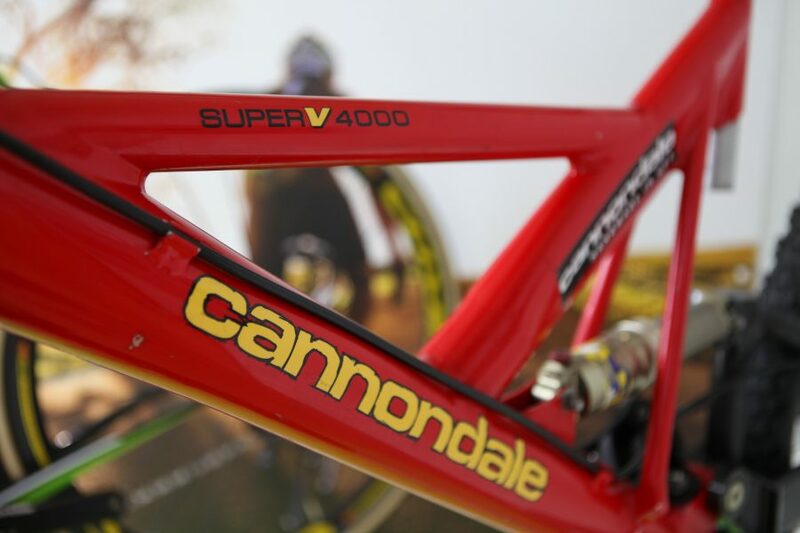 Conspicuous in their absence were any of Cannondale’s Enduro or All Mountain models (the Jekyll and Trigger). We’ll have to wait until early 2017 for updates on those. 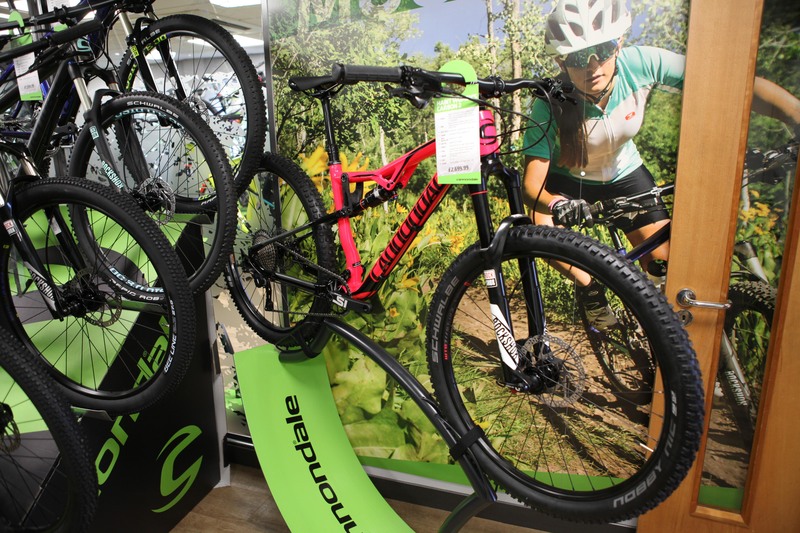 We were treated to some EXCLUSIVE shots of Cannondale’s new downhill bike though. 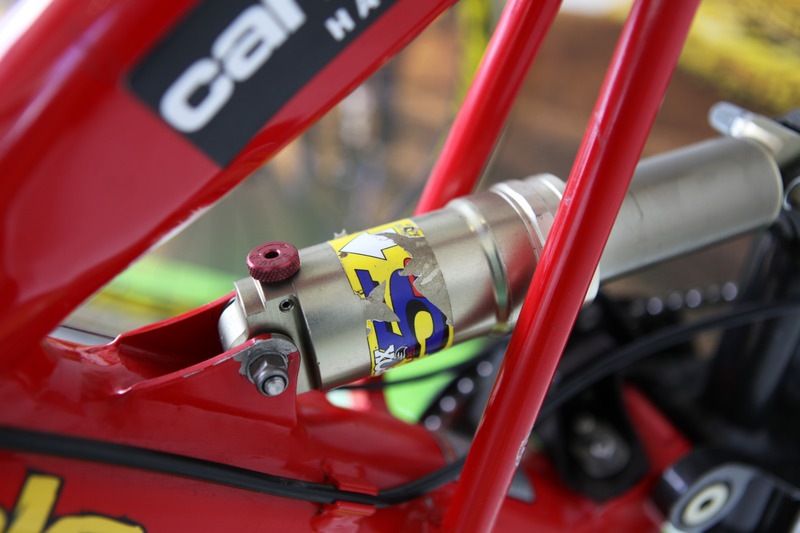 It draws heavily on their 90’s DH racing roots and is sure to be a big hit on the World Cup circuit next year. 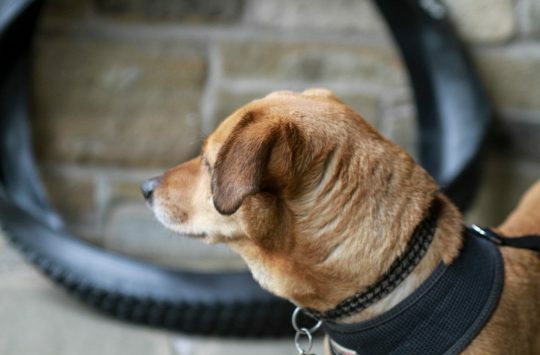 The bike was rescued from eBay by CSG employee, and rapid racer, James. He’s planning on returning it to its former glory. Keep your eyes peeled for our coverage of GT’s offerings as well Fabric and Charge, and clothing from Sombrio. In the meantime, if you want to swat up on the latest #dirtydropbargoodness offerings from the same brands, click on grit.cx. Still preferred Anne-Caro’s multi-chain Cannondale though. That was just mental!